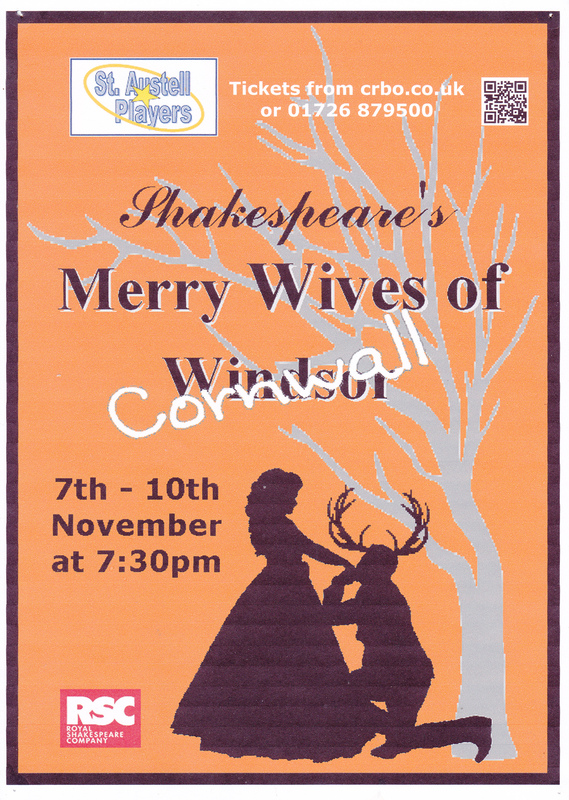 St Austell Players present "The Merry Wives of Cornwall"
A comedy about a laundry basket, a fat knight and a bit of love. Falstaff is home from the wars in France. He’s skint and has heard there’s money being made in the mines in Cornwall so he’s here to try his luck. Mistress Ford and Mistress Page, comely wives of local rich men are sure to fall for his charms, aren’t they? The lovely Anne Page is being pursued by no less than three suitors, as interested in her parents’ wealth as her charms. 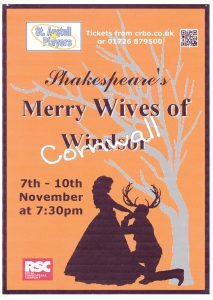 Between them, the Host of the Garter and Mistress Quickly lead everyone a merry dance and Falstaff gets his hilarious comeuppance in Shakespeare’s silliest comedy.. This performance starts at 7.30pm.